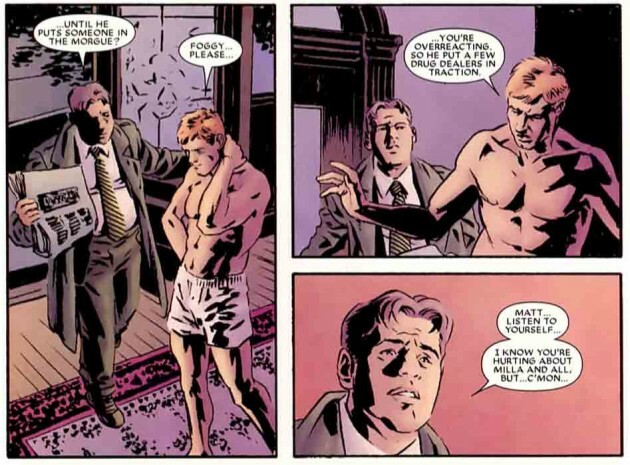 Chris Samnee joins Mark Waid and Paolo Rivera on Daredevil! If you haven’t checked out Samnee’s blog where he regularly posts amazing black and white sketches (with some of the best examples of use of negative space I’ve seen), you’ve been missing out. He’s got some great Daredevil sketches posted as well, such as this and this. This isn’t Samnee’s first Daredevil assignment though. 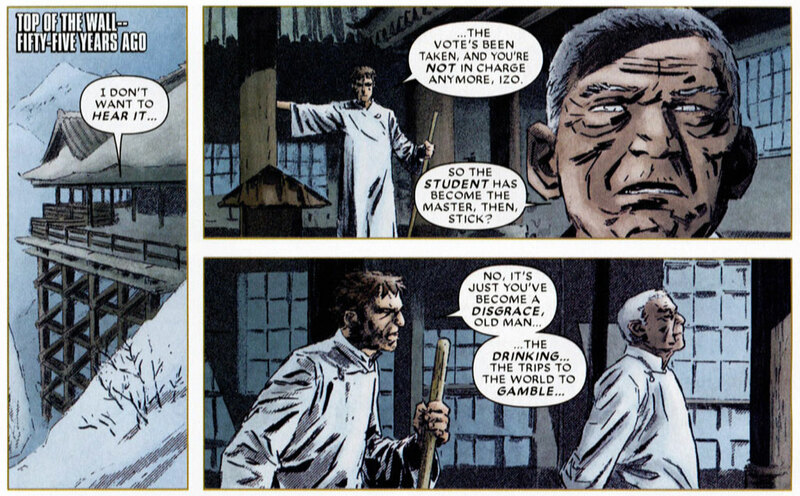 He did three pages worth of artwork for Daredevil #500 – namely the ones that take place in Japan – as well as all of the interiors for the one-shot Daredevil: Blood of the Tarantula (2008) which was co-written by Ande Parks and Ed Brubaker. Take a look below at some snap-shots of Samnee’s earlier Daredevil work! While Samnee is doing the art for DAREDEVIL #12, Khoi Pham is doing #13. I think it’s at least worth a *mention*. He’s talented too! 🙂 Tonally, he is a bit different than Samnee or Rivera though. You’re absolutely right! My bad for neglecting to mention Pham (who’ll be doing the art for Daredevil #13). I guess the reason I gave Samnee the spotlight is that he’s been given ongoing artist status. By the way, I wonder who’ll be the artist for Daredevil #14 and the next few issues after that. It’s also not really clear to me if Daredevil #12 is the start of a new arc. Then again, it’s nice how Waid has kept the arcs short with long-term plot threads connecting them. I’m excited for both artists on the title. Samnee is consistent and detailed and Pham is pretty kinetic and detailed. 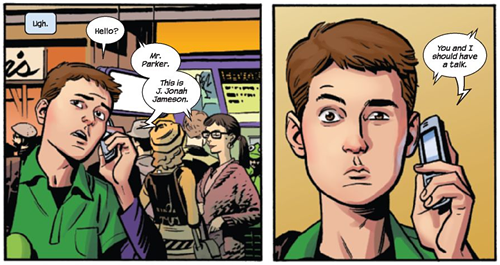 The Amazing Spider-man has been doing well with a rotation of talented artists that are all have different styles among them. But they all have cool renditions of Spidey and his supporting cast. Hopin DD goes the same route if there is not going to be a regular artist. The rotation gets the book out on time too. “His art is too similar to Lark’s” – I’d take that as a compliment. I have been following Samnee since his Queen & Country work. This is a perfect fit. I recently picked up his Cap and Bucky HC. Great stuff. Here’s another idea: Both of these issues came out during Michael Lark’s time at the helm, so to speak, so I’d say that’s a likely explanation for why it might lean in the Lark direction. His Ultimate Spidey artwork, on the other hand (see below from last year’s Ultimate Comics Spider-Man #155), is a very good fit for the current style on Daredevil. If you subscribe to the notion that DD has been (and remains) a crime noir book, then certain artists’ style, such as Maleev and Lark, will be better suited to convey that genre than others. Samnee falls within that range I think. I like his art.